Printing just got productive ! print supplies included and a 5 year warranty! Our managed print services provide businesses small and large with a fully maintained print solution offering fixed costs and high-quality prints every time. 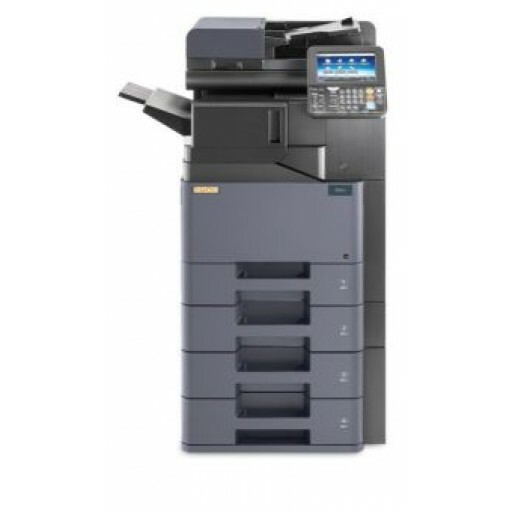 The vast printer range available has a device suitable for every requirement from small desktop devices, photocopiers to complete document printing and finishing machines. The managed print service allows you to increase functionality whilst lowering costs, we will complete a full print audit for your printer fleet looking at things like device and running costs so you can see how it compares to one of our fully maintained devices. Further enhance your device with software solutions known as “Apps” which help to combat specific challenges within day to day use or printing, Apps include follow me printing, Automated multiple-choice exam marking and much more. Maintained by our own engineers and are backed with a 5 year warranty you can rest assured our print solution won’t let you down.